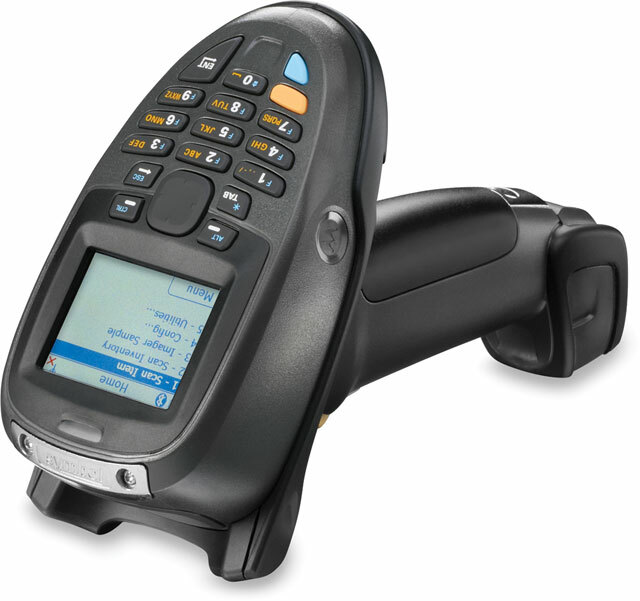 The MT2000 Series combines the simplicity of a scanner with the intelligence of a mobile computer, providing advanced 1-D/2-D barcode, DPM and image capture, as well as the ability to key in and view data. 802.11a/b/g, Bluetooth, corded and batch connectivity options provide the flexibility to meet a wide range of applications, and the ergonomic yet rugged design offers comfortable, reliable operation throughout your environment. Built on the .Net platform for easy application development, the MT2000 Series also comes pre-loaded with inventory software and an MCL client to facilitate porting of new and legacy applications. Sr Imager Ce 320x240/21 key/Blk/Ww. Interface cables and charging cradles sold separately. Single slot Bluetooth charging cradle (Part# STB2078-C10007WR) requires power supply (Part# PWR-BGA12V50W0WW) and AC Line cord (Part# 23844-00-00R). Quad charging cradle kit (Part# KT-STB2000-C4US). SCANNER ONLY. 1D Laser Scanner, Windows CE 5.0, Wi-Fi/Bluetooth, Color Display, Numeric Keypad, MCL Capable. Interface cables and charging cradles sold separately. Single slot Bluetooth charging cradle (Part# STB2078-C10007WR) requires power supply (Part# PWR-BGA12V50W0WW) and AC Line cord (Part# 23844-00-00R). Quad charging cradle kit (Part# KT-STB2000-C4US). SCANNER ONLY. 2D Imager, High-Density, Wi-Fi/Bluetooth, Windows CE 5.0, Color Screen, Numeric Keypad. Interface cables and charging cradles sold separately. Single slot Bluetooth charging cradle (Part# STB2078-C10007WR) requires power supply (Part# PWR-BGA12V50W0WW) and AC Line cord (Part# 23844-00-00R). Quad charging cradle kit (Part# KT-STB2000-C4US). SCANNER ONLY. 2D Imager, Wi-Fi/Bluetooth interfaces, Direct Part Mark (DPM) capable, Windows CE 5.0, Color Display, Numeric Keypad. Interface cables and charging cradles sold separately. Single slot Bluetooth charging cradle (Part# STB2078-C10007WR) requires power supply (Part# PWR-BGA12V50W0WW) and AC Line cord (Part# 23844-00-00R). Quad charging cradle kit (Part# KT-STB2000-C4US).